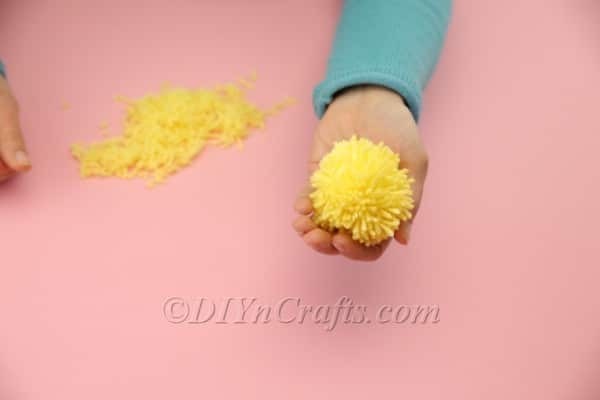 Pom poms are among the most versatile of all craft supplies, and they are perfect for a range of holiday crafts. 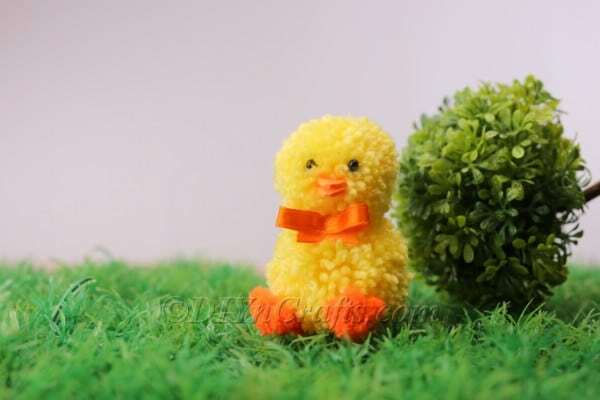 In this video tutorial, you get to make a couple of pom-poms into an adorable Easter chick. It’s fast, fun, thrifty and easy! One of my favorite things about Easter is that the holiday lends itself to really cute craft projects. 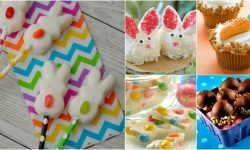 Who doesn’t love making adorable bunnies and chicks? 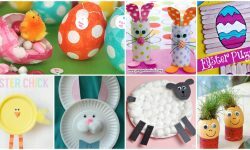 In fact, I have a whole bunch of bunny- and chick-themed Easter craft tutorials here on the site. I’ll point you toward a few links after the tutorial. The supplies you need for this project are super basic. 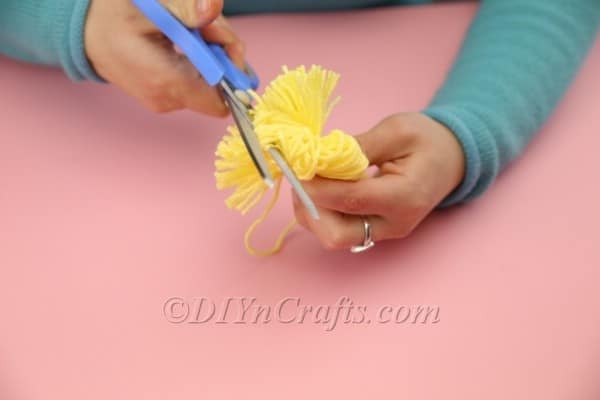 We’re going to be making the pom-poms for the craft ourselves, so all you need for that part of the project is some yellow yarn and a pair of scissors. If you want to save time though, you can just purchase pom poms from the store which are already made and ready to use. This might be a good option if you want to make a whole bunch of these fast. In any case, the whole project from start to finish should only take you a few minutes, even if you do make your own pom poms. Take a look at the list of materials and tools you need below. Then watch the video and read the instructions as you follow along. 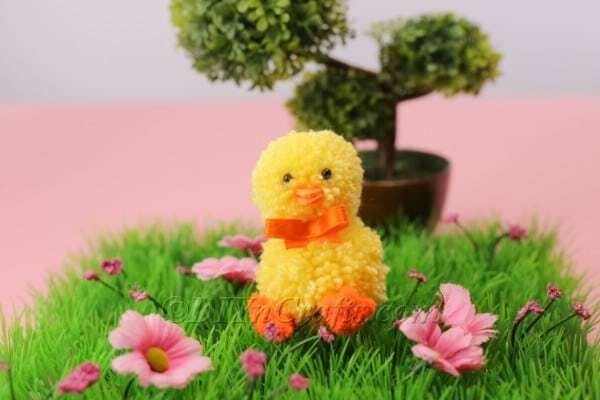 If you love pom pom crafts and are looking for an easy and fun one to do this Easter, you’ll have a great time making a cute Easter chick! 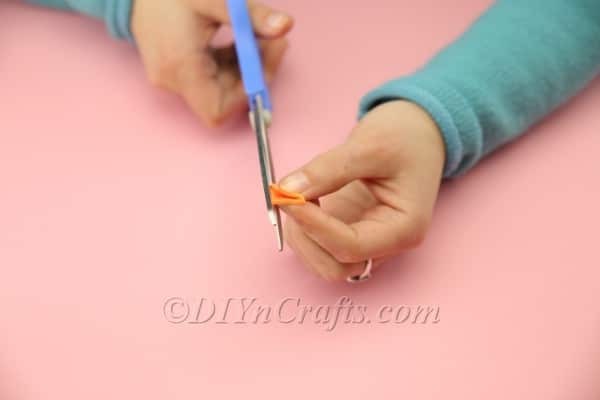 Break out your crafting supplies and check out the video tutorial for step-by-step instructions. 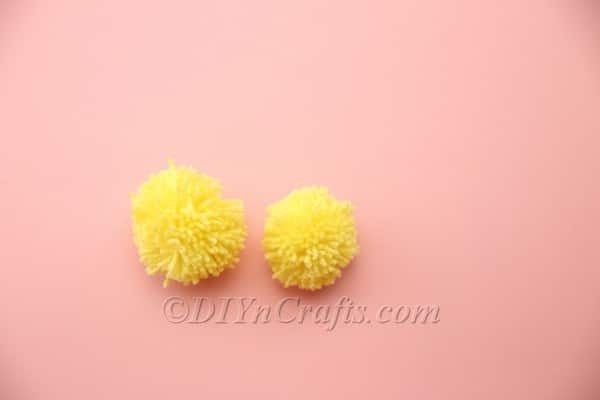 You are going to be making two pom poms for your chick. One will become the head and the other will become the body. They can be roughly the same size, or you can make the head a bit smaller than the body. 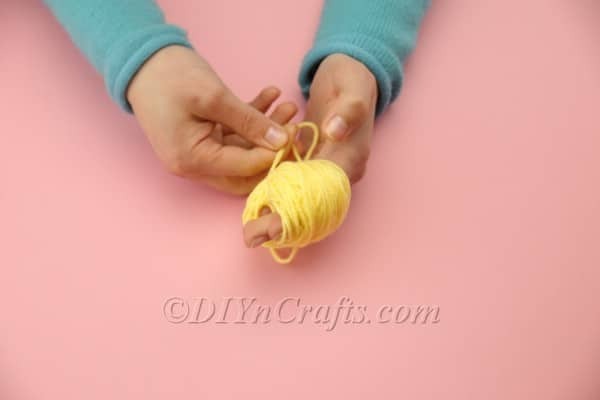 To get started making your first pom pom, spool yellow yarn around and around your fingers. Once you have as much as you think you need for a nice, full pom pom, get a piece of yarn to tie around the center of the spool. Pull it tight and knot it so that it is bunched in the middle. 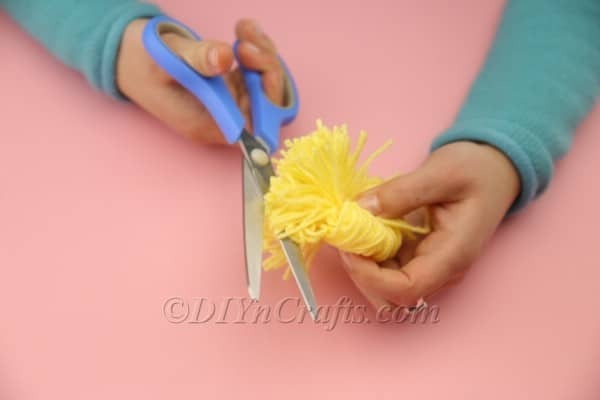 Grab a pair of scissors and cut each of the loops of yarn so that you have nothing but loose ends sticking out. Arrange the loose ends of the pom pom so that they are distributed evenly and you have closed all the gaps to the best of your ability. Now your first pom pom is complete. 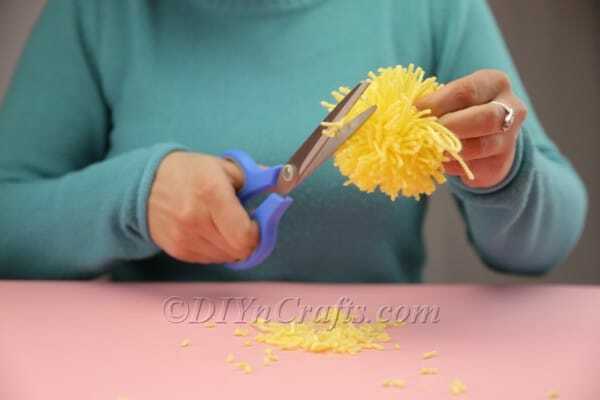 Repeat the steps above to create your second pom pom. You now have what you need for the Easter chick’s head and body. 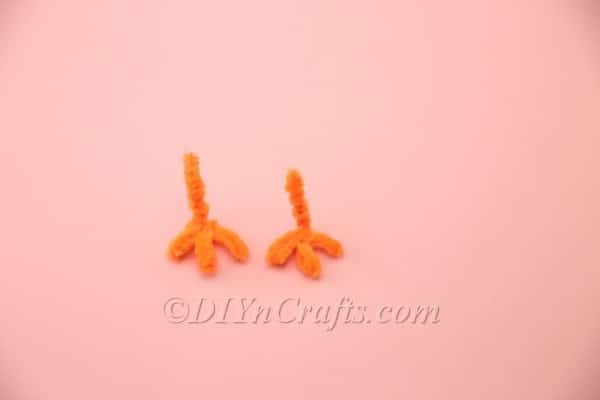 Birds need feet, so you will now be making your Easter chick some pipe cleaner limbs to stand on. 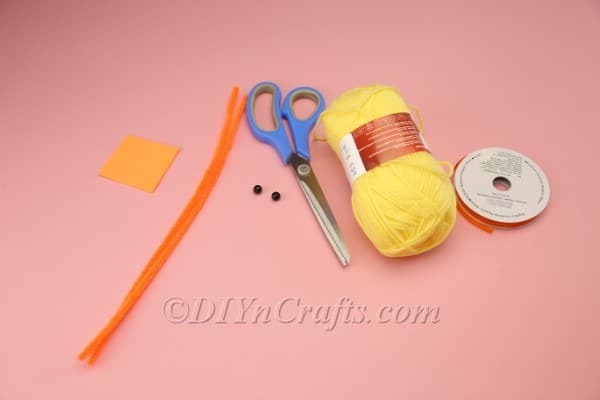 Cut two pieces of orange pipe cleaner to the same length—one for each foot. Make them about twice as long as you want the finished legs and feet to be. 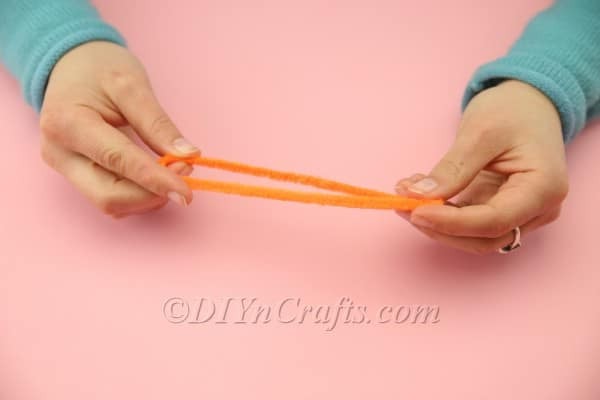 Take one of the pipe cleaners and begin turning it into a leg by folding it in half. 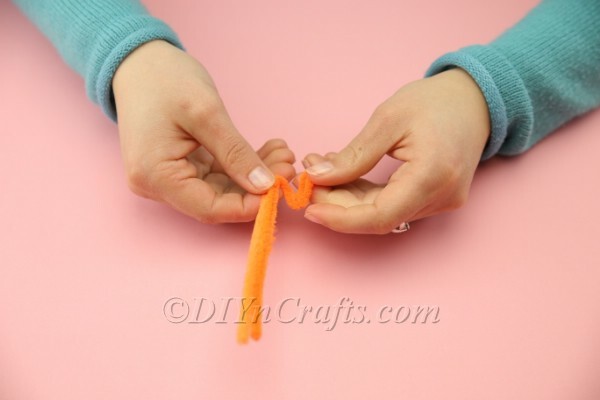 Now twist and shape the pipe cleaner until it forms the shape of a leg and foot with three toes. It is tricky to explain how to do this using words, so I recommend that you watch the video and look at the photos. It may take a little experimentation to get the foot sculpted to your satisfaction. Once you have completed one of the Easter chick’s feet, you can make the other one to match. Get the orange foam sheet listed in the materials and cut a small beak shape out of it. Use hot glue to attach all the parts of the bird. 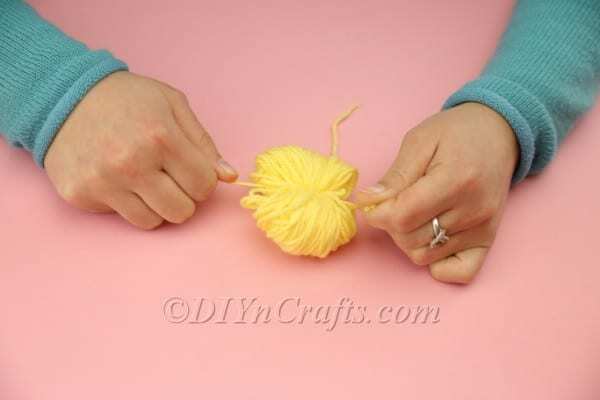 You can begin by attaching the two pom poms to one another so that the head and body become a unit. After the head and body are attached, you can hot glue on the bird’s feet, eyes, and beak. The exact order in which you do these steps doesn’t really matter, which is why I have listed them all together. Finally, you can cut a length of ribbon to tie around the bird’s neck. This can look like a sort of cute scarf. I chose orange to match the feet, but you can pick any color you want. Check out your completed Easter chick! He is just too cute for words! 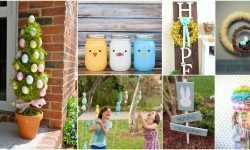 As you can see from the photos shared, there are so many different ways you can put your DIY Easter chick on display! If you can, try and give him some friends to enjoy the holiday with. What manner of friends? 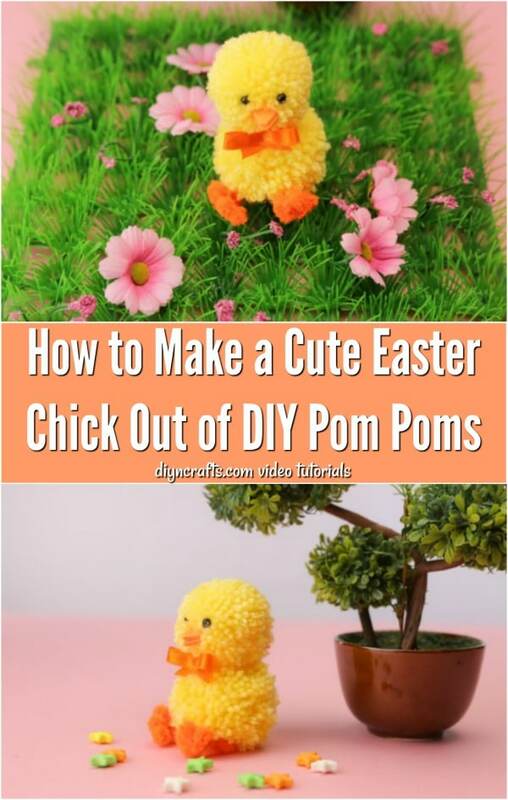 Well, for starters, you should try this project to make an adorable Easter bunny from DIY pom poms. 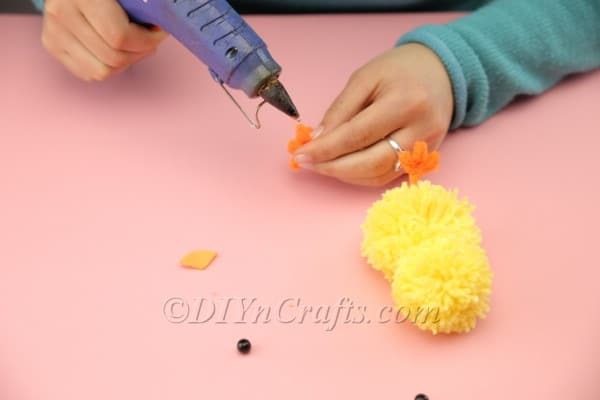 You already know how to make a pom pom now, so you should have a really easy time with this craft. The basic steps to make the Easter bunny’s body are the same. You just are making a different face and bunny ears. Your Easter chick should have someone to watch over him! For that, why not give him an Easter hen? You can make an Easter hen quickly and easily using an ordinary egg carton. 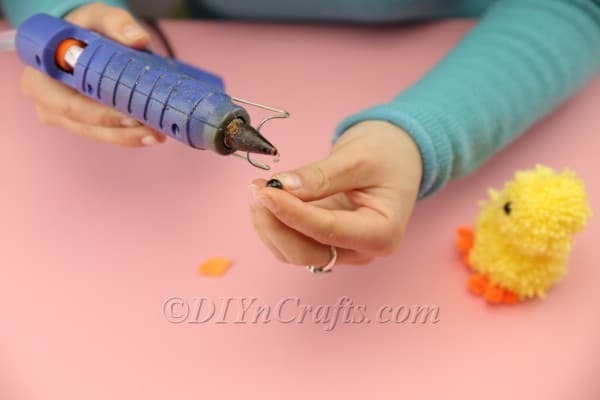 Find out how in the DIY Easter hen tutorial video. 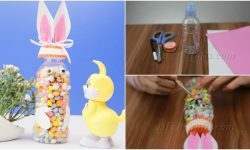 Still looking for more fun Easter crafts you can make out of simple supplies? 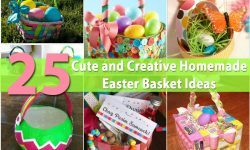 Here are 5 easy Easter projects you can make using craft sticks. You can also check out 9 Easter coloring pages and activities with free printables. 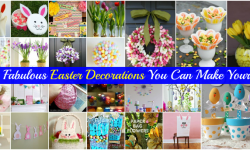 We add new craft tutorial videos for Easter and the other holidays throughout the year. So keep visiting DIYnCrafts to see what new creative and fun activities we have for you! Hello Vanessa, my name is Judy and I just finished watching your video of making a fairy house from a glass jar and clay. I loved it! I’ve been trying to make a fairy house in the same way. First I used homemade porcelain clay. But it cracked so badly that, even after numerous fixes, I had to just give up on it. So then I bought some air dry clay at Hobby Lobby an made another one. With the same result! It cracked so badly that when I picked it up, all the clay just fell off in pieces! Can you please help me! What am I doing wrong? I have wasted many hours and a lot of clay on this, and I am so frustrated! I would really appreciate it if you could email me back with a reply. Even if you can’t help me, I would love to hear from you.